Participants are asked to bring one pack of sanitary pads – or as many as they can afford or carry. As has become a tradition, and as part of the Nelson Mandela centenary celebrations, bikers from across South Africa will ride for charity to mark Mandela Day next month. 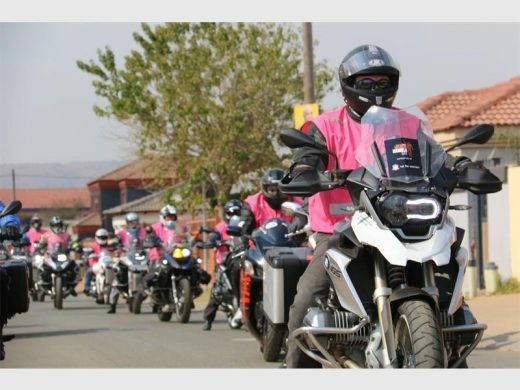 Bikers for Mandela Day, in partnership with the Nelson Mandela Foundation, will this year rally in aid of Keep a Girl Child in School, reports Kempton Express. The aim is to collect sanitary pads for the three million girls who miss school annually because they cannot afford basic sanitary products. 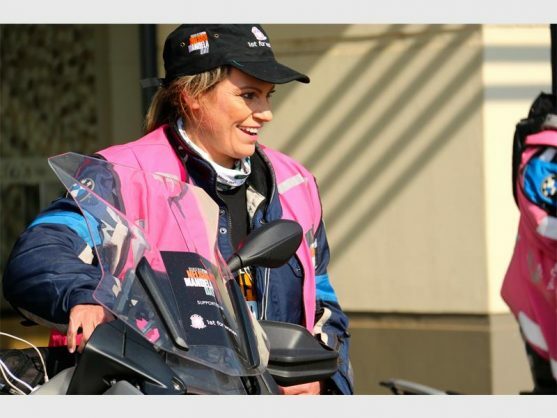 The initiative, which was started in 2010 by Nelson Mandela’s former personal assistant, Zelda la Grange, is aimed at celebrating Madiba’s legacy by helping the less fortunate. Bikers across the country are encouraged to participate by arranging a ride in their own cities, or by joining the mass rally in Johannesburg on July 15. “This year’s ride will allow for more bikers to participate in this nine-year old tradition of having fun while doing good at the same time. Madiba believed that every small effort counts in bringing about change,” says organiser Zelda la Grange. Bikers take off during a previous ride. The Johannesburg rally will take place from 8am at the Nelson Mandela Foundation in Houghton. By 9.30am the bikers will depart to travel to the Union Buildings in Pretoria. Prospective riders can register free of charge at https://www.nelsonmandela.org/nelson-mandela-100. Participants are asked to bring one pack of sanitary pads – or as many as they can afford or carry – for the ride. Those unable to join the event can donate towards the initiative. A crowdfunding page has been created in support of Mimi Women. To donate via GivenGain, visit https://www.givengain.com/e/bikersformandeladay2018/.